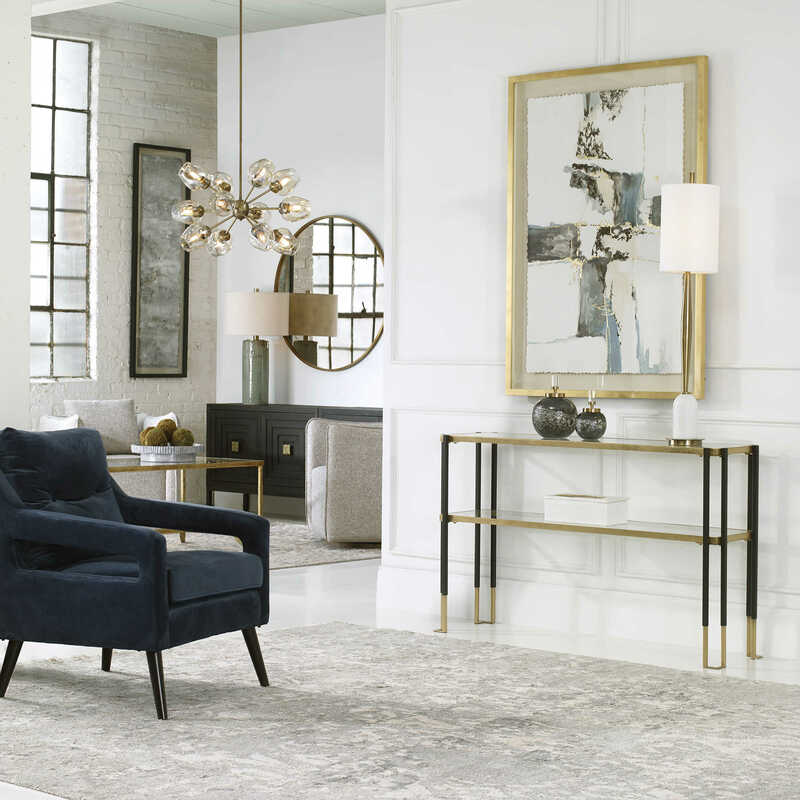 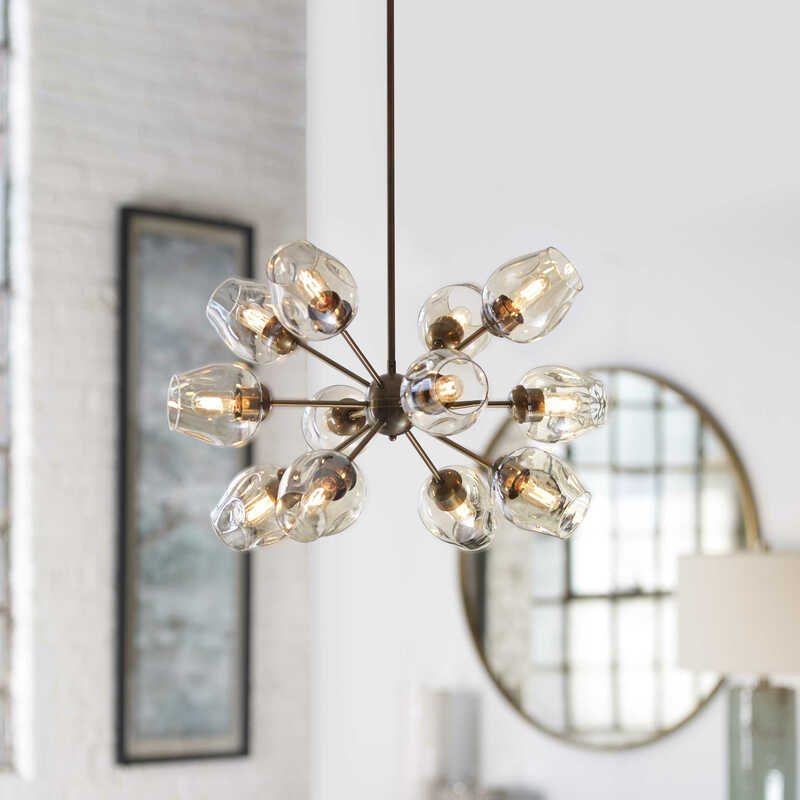 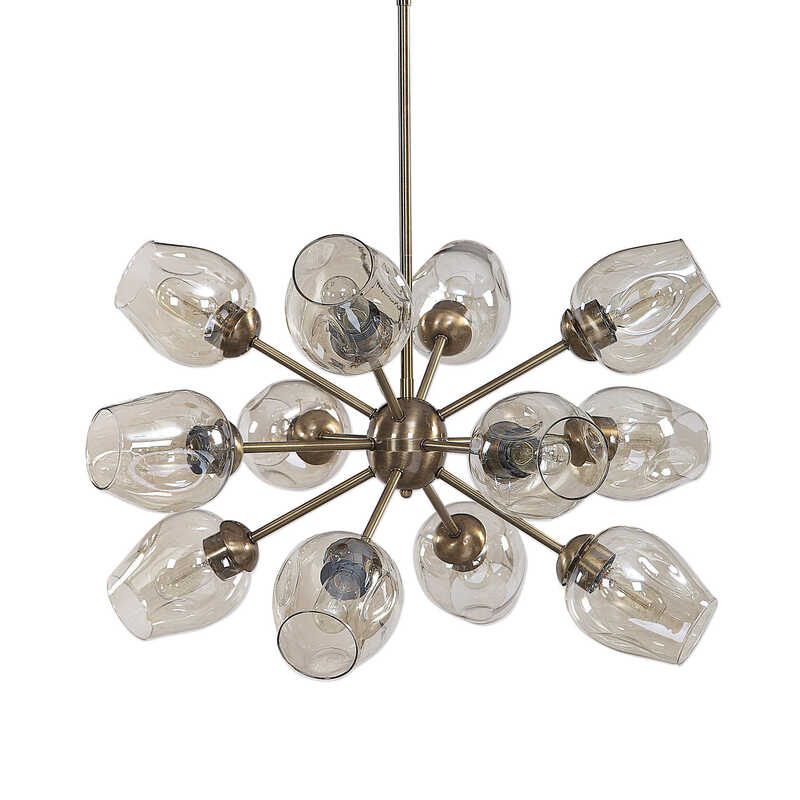 Transitional with a flair of Mid Century sputnik style, our 12 Lt. rod hung chandelier, features a warm antique brass finish with plated amber dimpled glass shades. 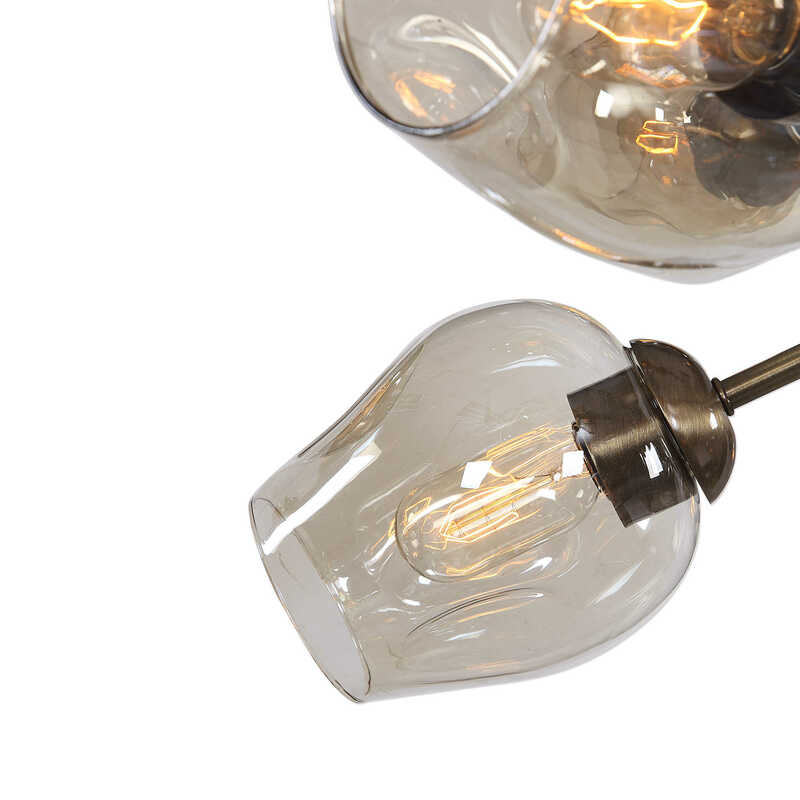 12-60 watt max Edison sockets and includes 12-40 watt clear T45 bulbs. 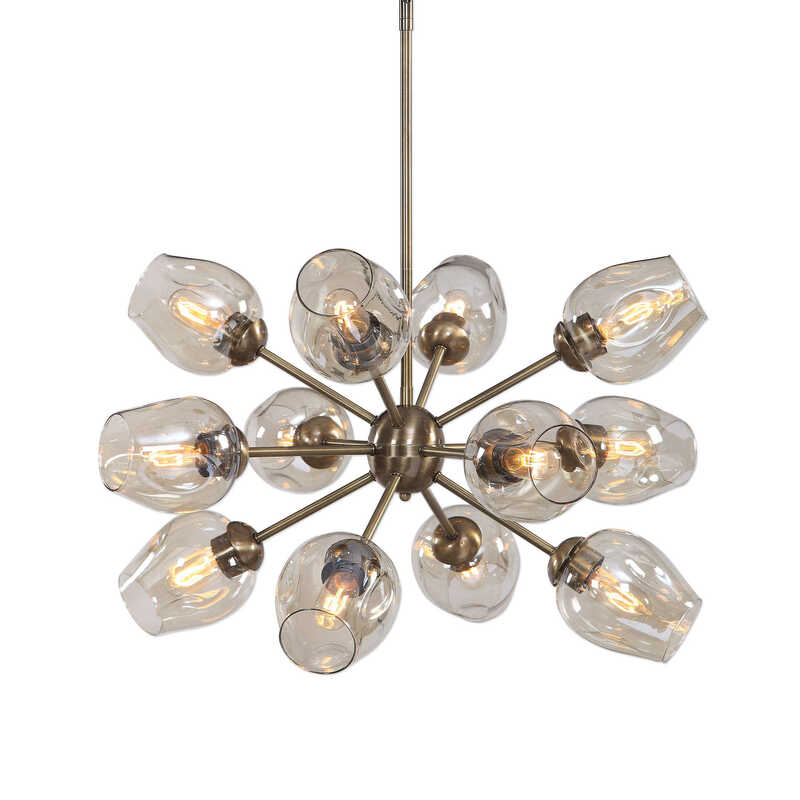 Supplied with 15'wire, and 3-12"stems & 1-6" stem for adjustable installation.